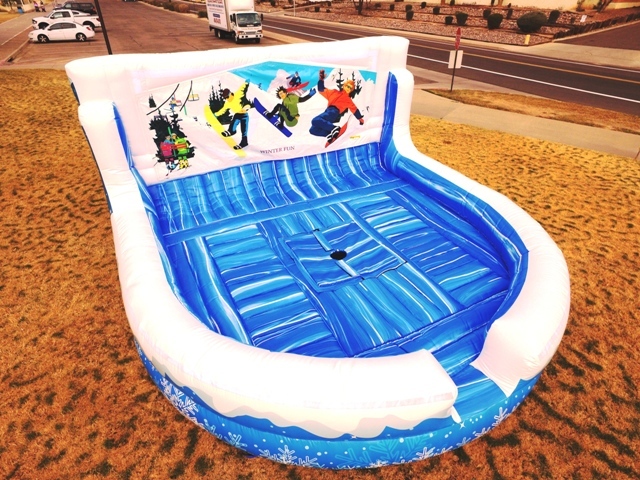 Our patent Pending 17' x 17' Winter themed Inflatable Reindeer or Snowboard Mattress comes with snowflake print all the way to the front and Velcro on the back wall to install a removable banner to quickly theme your mechanical snowboard, Reindeer or Bull for clients or seasons in less than 1 minute, something never offered before and only found at Kids Attractions. 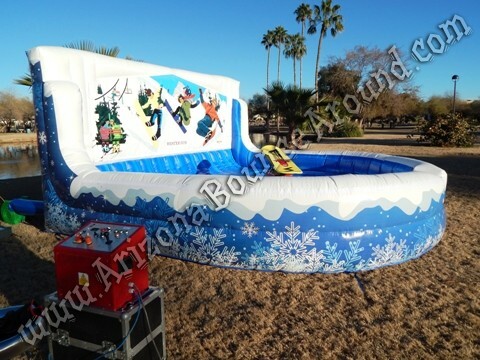 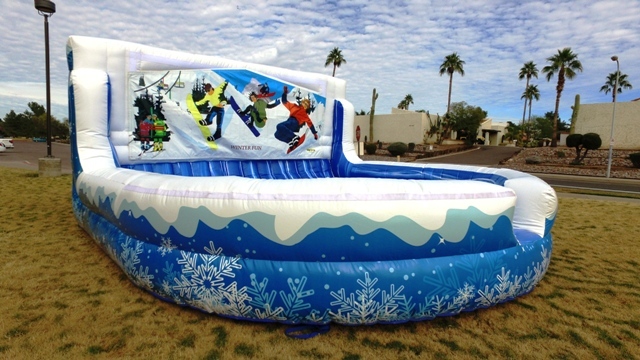 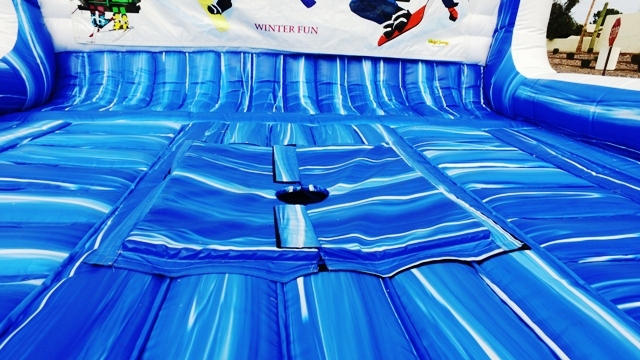 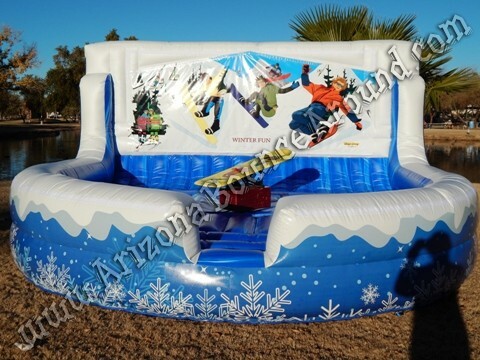 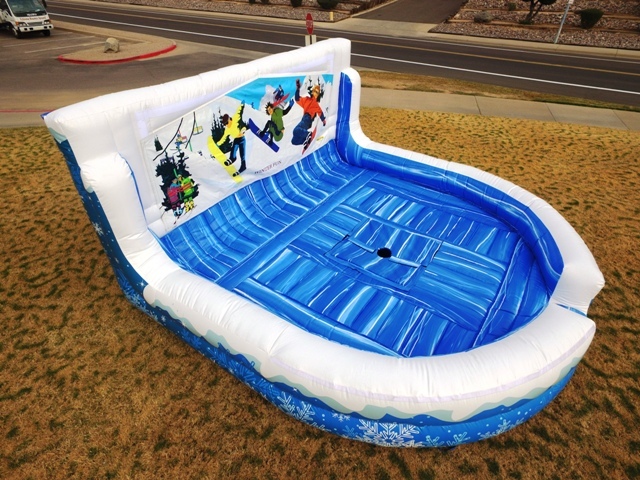 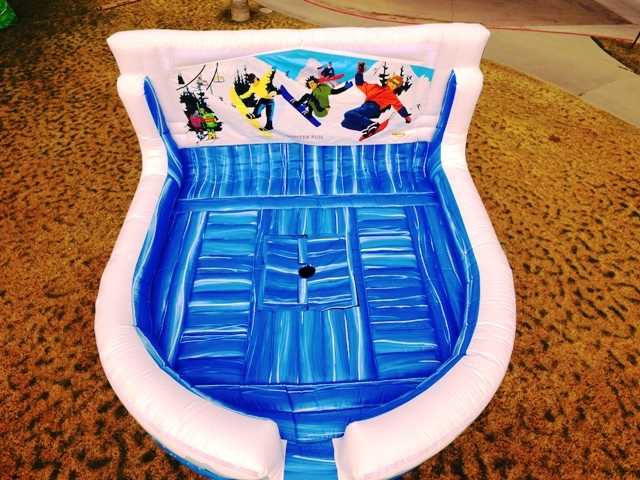 The sale price includes the US made Inflatable with a foam surround for the center. 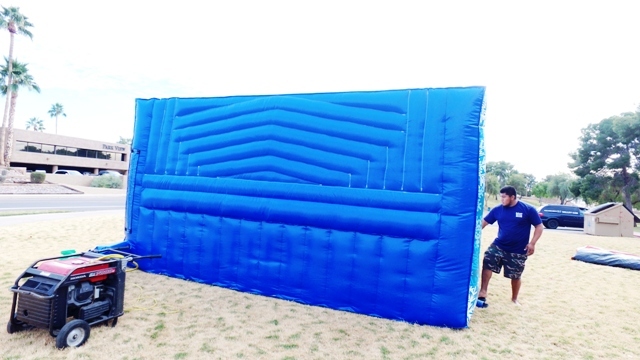 The blower and stakes are sold separately and we recommend using a B-Air 1.5hp Blower. 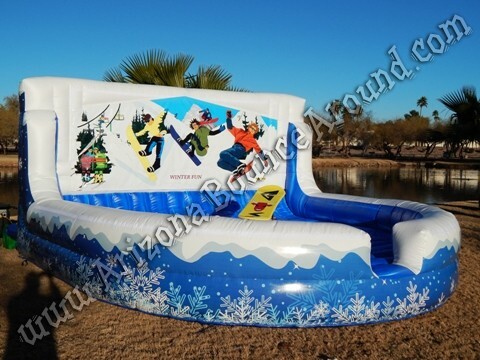 This Winter-themed Mechanical Reindeer Inflatable fits the GS Engineering Mechanical Bull and Galaxy.